You don’t have to be an expert to know that one of the best summer garments is the dress. Today I am happy to show you summer must-have dresses to wear for any occasion on your social calendar. Personally, I advise you to shop classic cuts with textural twists. This year comes with classic designs completed with modern details and colors. I really like those simple shift styles embellished with neon color prints. Be ready for high temperatures and chilly mornings. 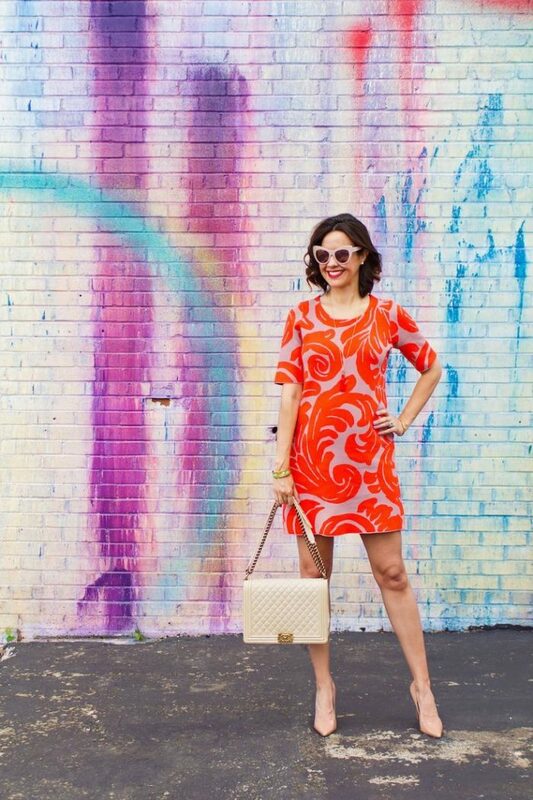 Knowing these facts will make things easy for you to buy something functional, like sheath dress that is a versatile workhorse piece for any Summer wardrobe. But this is not the only style you should pay attention to. There are numerous of trendy pieces to choose from. Are you ready for your one and only inspiration? Springtime is an ideal time to upgrade your Summer dress game. I prefer laid-back styles, like effortless maxi gowns and shift dresses. Believe me, each one of these must-haves will keep you looking hot and feeling cool. Be sure to choose the one that is versatile enough to be worn from work to parties. Another crucial thing is to be sure your frock looks ideal paired with a blazer and work great solo. The most important part is the comfort. Are you feeling yourself confident while wearing it? Yes? No? Shop one of these styles and send me your street look. I really want to see how you styled it. So in love with this look that features a gorgeous semi-sheer white ruffled dress, oversized rounded sunglasses, chain strap shoulder bag and knuckle rings. Speaking of jewelry, I do want to share with you my post about Summer jewelry trend called knuckle rings. This jewelry looks awesome with different style outfits, but I recommend to wear them with cocktail party looks. This white shirtdress looks fresh and versatile. Love the way it’s completed with a gold necklace and platform peep-toe heeled sandals. Speaking of shoes, I recommend to check my post about the best platform shoes to try this year, you are going to see many awesome outfit ideas that are easy to copy and wear on the streets. Do You have any thoughts about Summer Must-Have Dresses? Here are Fashion Tips pictures and trendy women’s outfits which are in style in 2019: Best Summer Dresses, Best Summer Fashion For Ladies, Maxi Gowns, Must Have Fashion Trends For Women, Party Dresses, Sheath Dresses, Shift Dresses, Street Style Women's Fashion And Inspiration, Work Dresses and tips on how to wear them on the streets.